There is a global epidemic of vitamin D deficiency and the health implications for this are enormous. Type 2 diabetes, food allergies, autoimmune conditions and recovery from colds and flu are just some of the consequences of this deficiency. Now two research articles: ‘have recently been circulated confirming once and for all what has long being believed by many practitioners. These articles indicate that vitamin D deficiency is an independent risk factor for heart disease with lower levels of vitamin D being associated with a higher presence and severity of coronary artery disease (CAD). The research supports that vitamin D supplementation may be beneficial in preventing heart disease. 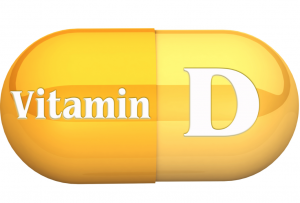 Researchers evaluated vitamin D levels in 1,484 patients and Vitamin D deficiency was defined as levels lower than 50nmol/L and severe vitamin D deficiency was defined as levels under 25 nmol/L. Patients were considered to have CAD if they had a diameter reduction of greater than 50 percent in at least one coronary artery. A diet rich in vitamin D and moderate exercise outdoors is advised in patients both with and without cardiovascular disease. For more information on vitamin D and its dietary sources click here. Additionally Hypovitaminosis D (low vitamin D levels) was observed in the vast majority of patients undergoing coronary angiography (a test that uses dye and special x -rays to show the insides of the coronary arteries). Vitamin D deficiency is significantly associated with the prevalence and extent of CAD, especially for patients with values <25 nmol/L. The cause of this increased risk is believed to be that Vitamin D regulates inflammatory processes, endothelium and smooth muscle cell proliferation and platelet function, thus potentially initiating atherothrombosis. A atherothrombosis is a thrombus (blood clot) formation in an already narrowed (caused by atherosclerosis) vessel. It is ironic that although Australia is one of the sunniest places in the world and that we have the highest incidences of skin cancer caused by excessive UV exposure, that as a nation we are vitamin D deficient. One third of Australians has a vitamin D deficiency! This has massive implications for our health, our economy and society in general. CAD is the leading cause of death in Australia, with 45,600 deaths attributed to CAD in Australia in 2011. Cardiovascular disease kills one Australian every 12 minutes. Despite some modest improvements over the last few decades, CAD remains one of the biggest burdens on Australias overall health and economy. Reasons for this deficiency include a greater adherence to sun protection, poor dietary choices, an increasing obesity epidemic and long working hours (indoors). Read Australians Still Low in Vitamin D for more information. Vitamin D is not a vitamin in the traditional sense of the word, it acts more as a steroid hormone in the body, interacting with cell receptors and endocrine organs and glands. Additionally vitamin D synthesis – turning vitamin D into the activated hormone calcitriol, from sunlight requires many bodily processes to be working optimally. These include having unwashed, oily skin without sunblock and the liver and the kidneys to be working well so they can progressively convert vitamin D to its precursor than active form. If there is a problem with either the liver or kidney insufficiency than vitamin D cannot be activated. These are the primary reasons why Australians are vitamin D deficient and this gives us a starting point on how to rectify this health epidemic. Not only does vitamin D deficiency increase our risk of Type 2 Diabetes, Crohns Disease childhood illnesses and allergies , autoimmune diseases and contracting colds and flu, we also now have conclusive evidence from two different studies that vitamin D deficiency is independently associated with a higher prevalence and severity of CAD. Click here to find out what you can do to minimise the risk of CAD. What Should Our Vitamin D Levels Be? When looking at a pathology report containing the results of our vitamin D status what are the vitamin D levels we should be aiming for? Serum 25-hydroxyvitamin D (25OH-D) is the best marker for clinical assessment as it has a long half life of 2-3 weeks and the test measures both the vitamin D the body has synthesised as well dietary/ supplemented vitamin D.
Levels of vitamin D depends on age, supplement intake, co-existing illness and UV exposure. It also depends on diet and phosphorus intake. The reference range for vitamin D is 40-160 nmol/L, however the target level should be >50 nmol/L at the end of winter (but this the low end of normal). For optimum parathyroid hormone levels and calcium absorption, vitamin D needs to be greater than 80 nmol/L. The studies did note that vitamin D deficiency < 25 nmol/L is associated with the prevalence and extent of CAD but keep in mind any deficiency should be considered a subclinical indication for an increased risk of developing CAD. To protect yourself and your family increase your vitamin D levels! Optimal vitamin D levels will provide you with greater immunity, less chance of illness or disease and more energy. Now that recent research highlights that vitamin D deficiency is an independent risk factor for heart disease, we cannot rely solely on sunlight to obtain and than maintain optimal vitamin D levels in our body. It is advised to have your vitamin D levels checked on a yearly basis and Emed offers convenient and simple vitamin D level testing. To discover how you can get your levels checked click here.